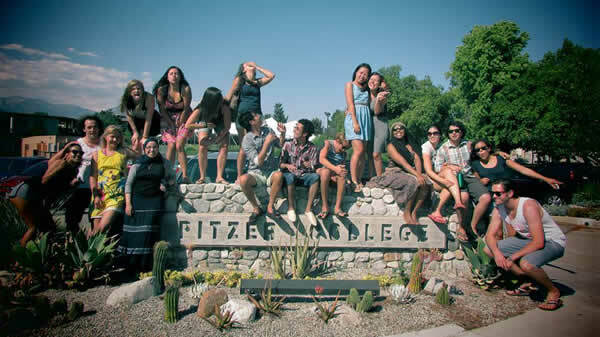 The International Programs Office supports the international community at Pitzer College and provides information and resources to help enhance their academic, cultural and social experiences. Pitzer College welcomes international students from over 25 countries as part of its commitment to the educational objective of intercultural understanding. The diversity of culture and perspective they bring add a global dimension to the vibrant campus community. Pitzer College is committed to the goals of international education and welcomes applications from international students. International students may participate in the International Scholars Program, which develops the sophisticated level of English needed to actively engage in the challenging liberal arts education Pitzer offers. International Scholars are admitted as regular, full-time students with the requirement of completing advanced English courses as part of their undergraduate studies. Click here to learn more about applying to Pitzer as an International Scholar.